1. Almost every mother in the Philippines has composed an "oyayi". What is an oyayi? b. the progency between a male tiger and a female lion called? 5. The following is a list of famous horses. Choose four and name the rider. 7. The Panthalassic ocean bordered which continent ? 8. James Bond's father Andrew was a Scotsman, his mother Monique Delacroix was born in which European country? 1. A lullaby A lullaby is a soothing song, usually sung to children before they go to sleep, but they can also be sung to insomniac teenagers and adults as well to help them sleep. They originated in England in the late 1300s. The idea is that the song sung by a familiar and beautiful voice will lull the child to sleep. Lullabies written by established classical composers are often given the form-name berceuse, which is French for lullaby, or cradle song. But most notably is the use of the oyayi in the Philippines, also called huluna in Batangas. In fact, the use of a song in putting a baby to sleep is so popular that every mother in the province is said to have composed at least one lullaby for her child. 2. c. 60% An arranged marriage is a marriage arranged by someone other than the persons getting married, curtailing or avoiding the process of courtship. Such marriages are numerous in the Middle East and parts of Africa and Asia. Other groups that practice this custom include the Unification Movement, royal families and Hindus. Note that the term "arranged marriage" is used even if the parents have no direct involvement in selecting the spouse. The match could be selected by a matchmaking agent, matrimonials site, or trusted third party. In many communities, priests or religious leaders as well as trusted relatives or family friends play a major role in matchmaking. b. tigon The liger is a hybrid cross between a male lion and a female tiger. It is denoted scientifically as Panthera tigris ? Panthera leo. A liger resembles a lion with diffused stripes. They are the largest cats in the world, although the Siberian Tiger is the largest pure sub-species. Like tigers, but unlike lions, ligers enjoy swimming. A similar hybrid, the offspring of a male tiger and a female lion is called a tigon. a. Legolas - a character in J. R. R. Tolkien's legendarium, featured in The Lord of the Rings. He is an Elf from Mirkwood and one of nine members of the Fellowship of the Ring. 7. Pangaea Pangaea was the supercontinent that existed during the Paleozoic and Mesozoic eras about 250 million years ago, before each of the component continents were separated into their current configuration. 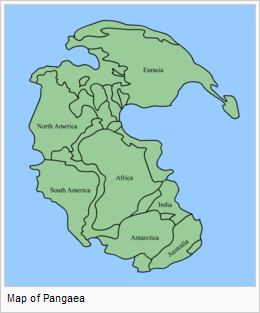 The name was first used by the German originator of the continental drift theory, Alfred Wegener, in the 1920 edition of his book The Origin of Continents and Oceans (Die Entstehung der Kontinente und Ozeane), in which a postulated supercontinent Pangaea played a key role.